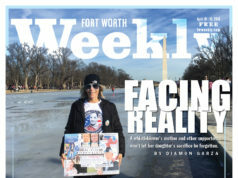 Though it’s been 13 years since their founder died, this nonprofit continues to ring throughout Fort Worth — and the globe. Abject poverty surrounded Carter throughout her childhood in the Riverside area of Fort Worth. Her father, Ewell, was a commercial painter, and his meager income had to support his wife Elsie and three children. But the future choir founder had an uncanny drive that stayed with her throughout her life. High academics and a gift for art earned her two full scholarships, first to the visual arts program at TCU when she was 12 and then in 1958 to TCU’s music program. Unable to afford a car, Carter took a bus to and from class during the week. After graduating, she found a passion for singing in Fort Worth clubs and lounges and briefly married. Texas Girls’ Choir executive director Debi Weir was 10 when she first met Carter, who was in her 40s at that time. Though she didn’t really know it, Carter was doing more than creating opportunities for women. When she founded the choir in 1962, segregation was the law of the land in Texas and much of the South. Carter was adamant from the get-go that her group would include African-American girls. Among every other race. Much of the city wasn’t ready for that kind of change, and for several years, the choir’s bus would be stoned while arriving and leaving venues. 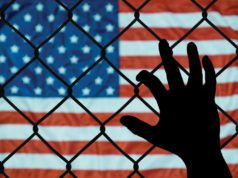 When a group of investors offered to support the fledgling ensemble if African-American kids were no longer welcome, Carter kicked them out of her office without a second thought. “She was ahead of her time in many ways,” Weir said. As the choir outgrew its humble rehearsal space, first at the downtown YWCA and then at First Baptist Church in northeast Fort Worth, the board of directors began a search for a permanent home in 1973. The current building became available due to a split in the church’s congregation. Though the choir had found a building, the group had no collateral for a loan to buy it. 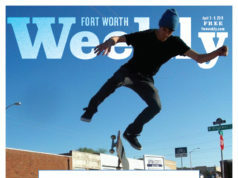 After being told no by several Fort Worth banks, Carter visited Weatherford National Bank. When the banker asked Carter what she would give to secure the loan, the founder extended her hand. After securing the loan, the choir worked tirelessly to seek donations from students, parents, and the community. True to her word, Carter paid the loan back within two years. Shirley Carter’s office has been largely untouched. Many of her souvenirs from past tours are still in place, filling the entire top shelf of her desk. In the decades that followed the move to Camp Bowie, Carter took the girls on dozens of trips to 55 countries on nearly every continent. There were many high points, like the six times the choir performed at the White House as part of Christmas concerts. But in 1999, the nonprofit came perilously near closing for good. Sewage was flowing into the basement of the choir building. Investigators eventually found the source of the spillage: a nearby country club. Unbeknownst to Weir, a father of one of the singers was friends with two local musicians, Freddy Powers and Bill McDavid, who were friends with a little someone named Willie Nelson. The legendary country singer-songwriter agreed to perform a benefit concert for the choir at no cost. The show was at Bass Performance Hall and sold out, raising about $100,000 to help restore the choir’s home. Three years later, Carter died. She was 67. Still grieving, the singers and directors did what they felt Carter would have wanted them to do. They boarded their plane two days later. In the years leading up to the founder’s passing, Weir had slowly taken on more leadership responsibilities. After careful consideration, the group’s board of directors officially made Weir executive director in 2003. 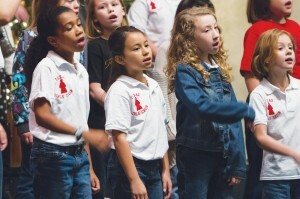 Since Carter’s tenure, society and the role of girls’ choirs have changed, Weir said. As gender and racial equality were the primary issues Carter had to face, Weir and her colleagues work to bring awareness to bullying and to help direct their girls toward college. Every summer, the choir hosts speakers who discuss bullying and offer advice about higher learning. Most of the academic information is specific, describing how to apply for scholarships and explaining how community colleges work. And in the spirit of Carter, the girls volunteer every year at food pantries and sing at nursing homes. For the singers who come from poorer parts of North Texas, the experience helps them put their own lives in perspective. Charm school on Sundays –– how to sit at a dining table, how to handle silverware –– rounds out the education. The trips abroad, the etiquette classes, and the uncompromising values Carter instilled in the young girls are all part of a broader mission than singing. 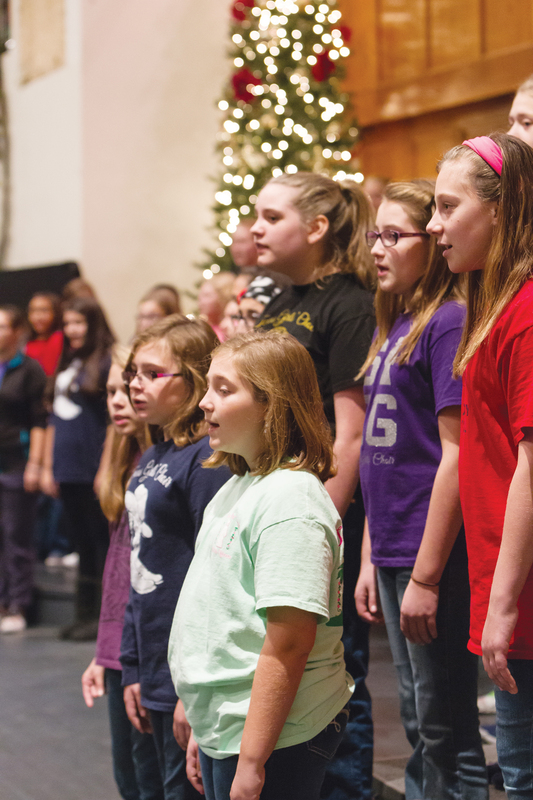 The work of the five choirs will culminate in a Christmas-themed performance on Saturday, Dec. 5, at 6:30 p.m. and Sunday, Dec. 6, at 3 p.m. at the Texas Girls’ Choir home, 4449 Camp Bowie Blvd. For Weir, her main goal for girls like Alina is for them to stay in at least that long. Trent said the journey from novice to serious musician begins by believing that every child has the ability to be a great singer. The Christmas concert is unique from other Texas Girls’ Choir programs. The top-level concert choir performs first, there’s no intermission, and the choirs enter and leave while singing. The program ends with the prep choir singing a medley of sacred and secular Christmas songs. For Alina, it’ll be the moment she has been waiting for. Singing in a choir, she said, gives her a special feeling. Her friend Melissa Rodriguez feels the same way. The 12-year-old already attends an arts-focused school, Texas School of the Arts, but the girls’ choir exposes her to a wide range of vocalists, from whom she is learning. Rodriguez said she plans to major in music in college but has no specific plans beyond that at the moment. After the Christmas concert, choir directors will focus once again on auditions, from January 5 to 28. Weir thinks of Carter every day. The matriarch was a mother figure to her. Now the arts group is facing new challenges without their former leader. Lacking significant donor or foundation support, choir directors have largely relied on membership fees and fundraisers to stay afloat. When asked to reflect on the past 13 years, the director got choked up.